Among jazz fans, you can have a lot of fun arguing whether “European Jazz” is a useful counterpoint to the American tradition, an original supplement thereto or “is worth less than American jazz on the market” as it can be read in a Wikipedia forum. There is no doubt that there have been and are gifted musicians this side of the Atlantic, who have molded and formed jazz for decades. They have developed very unique playing styles by merging European music traditions with American influences. To give these pioneers of European jazz a stage was the idea for the series of articles “European Jazz Legends”, which we launched in the magazine Jazz thing in our 100th issue in September 2013. We can now look back on 13 issues. The symbolic stage has now become a real one, and it is in Gutersloh in the middle of Europe. Accompa­nying each edition of our magazine appearing five times a year, a concert planned especially for this oc­casion is being organized in cooperation with the label Intuition, the city of Gütersloh and Westdeutscher Rundfunk Köln with current protagonists of the series, hosted by our author Götz Bühler. Each concert including an on-stage interview with the artist will be broadcast by Westdeutscher Rundfunk (WDR 3) at a later time, and the musical highlights of the concert will be released on a CD. In other words, five concerts and five CDs in the series “European Jazz Legends” are planned for each year in the future. In addition, a book will be published, for which the article from the magazine will be revised and supplemented, among other things, to provide impressions from the concerts and discussions. 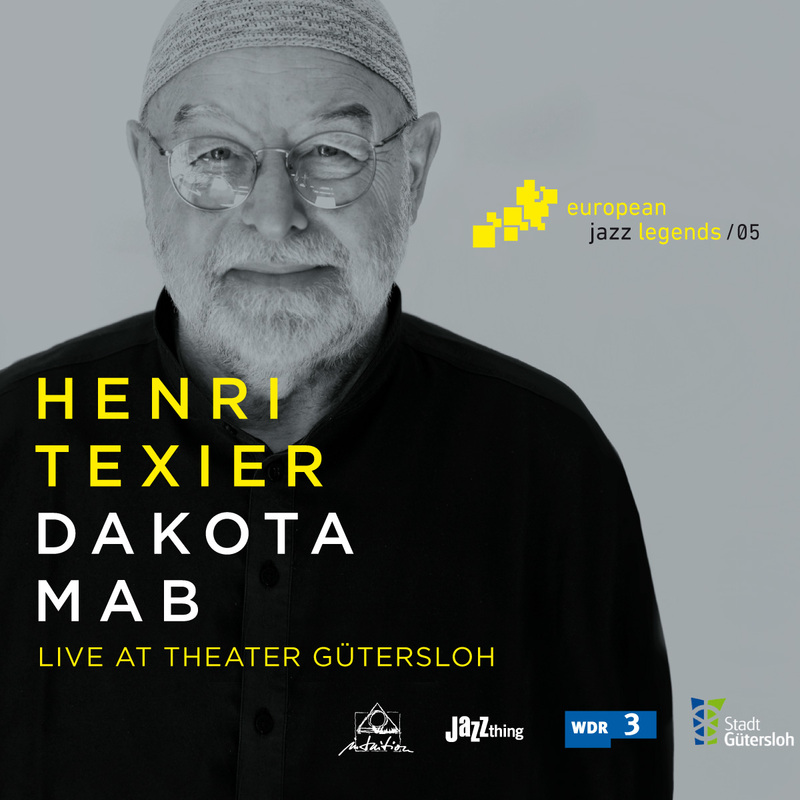 The CD of Henri Texier is the fourth publication in the “European Jazz Legends” series. We from Intuition Records are very proud of this and would like to thank all partners and especially the musicians – and hope that you enjoy this new series. „L’espoir fait vivre“ often translates as „hope springs eternal“. The „Hope Quartet“ of French bassist and composer Henri Texier that can be heard on this live recording may spring eternal, too, but is rather concerning itself with the culture and history of Native Americans, such as the Hopi of what is now known as Arizona. The 70 year old, born and raised in Paris and one of the innovators of European Jazz, fuelled the music of this „Indian“ ensemble with an extremely infectious brand of energy at this concert at Theater Gütersloh. It is easy to imagine that the wit, wisdom and wonder Texier displayed over the course of that evening stem from his humble beginnings as a teenager practicing with friends in the basement of the signalman’s house on a switch yard where he grew up in the Fifties. And that they evolved over the course of his various engagements alongside drummer Daniel Humair and later pianist George Gruntz in the Jazz clubs of the French capital, the three of them eventually becoming Phil Woods’ famous „European Rhythm Machine“ in 1968. Furthermore, experimentations with the Oud and multi-tracking – from „Amir“ to „Varech“ – could have logically led to travels in Africa and the trio „Carnet de Routes“ he still leads with fellow Frenchmen Louis Sclavis and Italian Aldo Romano. The fact that this concert took place a mere nine days after the attacks in Paris of November 13th 2015 may have further energized and „emotionalised“ the music, but the main ingredient that night certainly was a serious sense of hope.
" [ ...] This is a very musical , swinging plate, which also contains a lot of intimate atmosphere and creative moments [ ... ]""
"''The bassplay of Henri Texier is outstanding and can be called as absolute worldclass, his sonorous sound and his virtuosity are admirable and are to compare with legens like, Charlie Haden and Dave Holland.''" "The concert was recorded "direct to analog tape". The result is stunning: From the balanced spatial arrangement of the instruments and the resulting transparency, one gets the impression of the band being in immediate proximity of the listener."" ""One can't help but love the shaman who dances with the bass.""